OCI manufactures standard and custom products for your current or future projects. OCI has the ability to manufacture single tools or complete drill systems in a cost effective and timely manner with in-house design, machining, and fabrication. We stock large amounts of pipe and materials so we can deliver your product quickly. 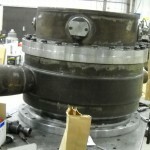 We are close to major suppliers for raw materials used to manufacture drill tools, fabricated, and machined parts. With state of the art machining and fabrication equipment, OCI can machine and fabricate tools of almost any size and length. OCI’s welding and fabrication shop is equipped with the latest cutting and welding equipment operated by certified welders. 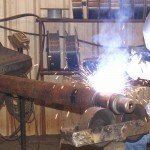 We can fill almost all your cutting, welding, and fabrication needs. OCI’s machine shop is equipped with CNC and manual hollow spindle lathes, standard lathes, CNC and manual milling machines, manual and automatic saws, and other equipment, operated by skilled machinists with decades of experience. 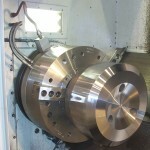 We are able to produce your tools and parts with speed and precision.